$300,000 USD $10 per m2! 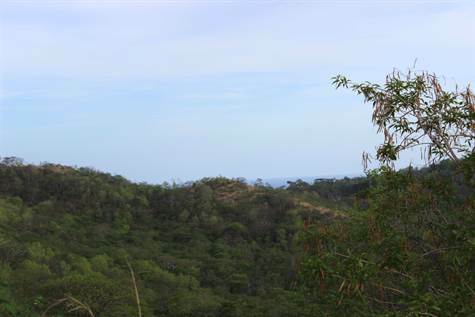 Address: 3 Hectares (7.5 acres) Land with Mountain Views and Ocean "Glances"
This property is located in a residential development with a gated and secure entrance. There are 3 hectares of land here, the top part of which is very flat and ready to use, and has fabulous panoramic views of the mountains and valleys, as well as a small view of the ocean. The view of the ocean will increase substantially from a second or third story construction. The remaining land goes down the face of the mountain and offers very nice mountain valley views. There is quite a bit of work that needs to be done to prepare the rest of the land for building, to make terraces ideal for more home sites. The land is being sold with water and electricity ready to connect. Corona de Playa Grande is fabulous residential development with ocean view and mountain view residential lots. A total of 29 home sites, 2 homes already built.